Kala provides a search tool that quickly and easily allows you to search your database. You can search several Jyotish factors in the Rasi as well as the Navamsa. The great part about the Search Tool is that you can search as many and/or parameters as you like. 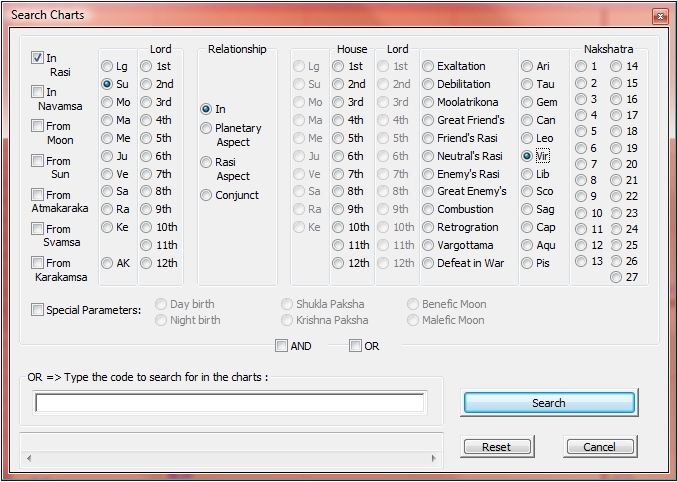 For example, you can search for: Sun in Virgo and Moon in Taurus or Moon in Aries and Jupiter in the 4th or 10th. 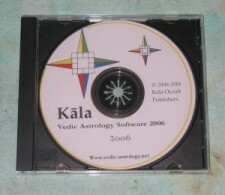 Kala's search tool is the only tool available that allows you to search for things that are totally Vedic, like Tithi's, Vara, Hora, Sukla or Krishna Paksha, Day or Night birth, and such things. Good Dignities in the Dasavargas such as Simhasanamsa, Gopuramsa, etc.